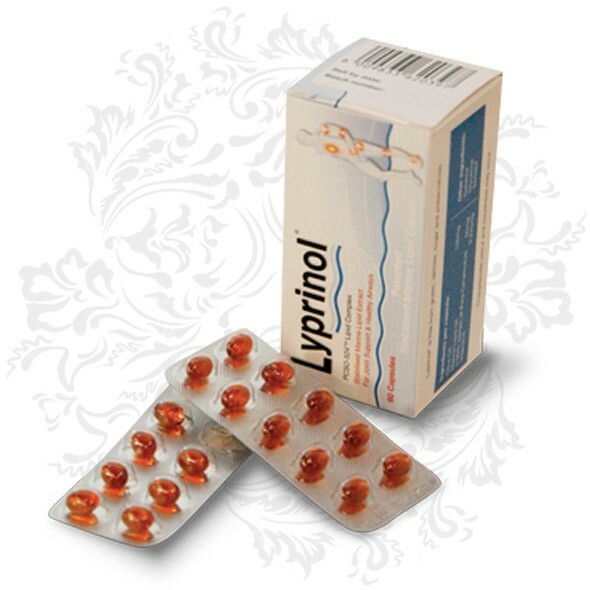 The launch of Lyprinol PCSO-524® in SA, now offers a natural therapy for people suffering from osteoarthritis, rheumatoid arthritis and asthma. It has been shown to be more effective than certain non-steroidal anti-inflammatory drugs (NSAIDs) while exhibiting none of the side-effects normally experienced during NSAID treatment. One study undertaken at the University of Queensland showed that Lyprinol PCSO-524® outperformed Indomethacin & Ibuprofen by 2:1. Subsequent trials showed that Lyprinol PCSO-524® was 175 times more potent than salmon oil and that it was 200 times more effective than flax oil in controlling arthritic joint swelling. Lyprinol PCSO-524® is a natural marine extract from the oil of the New Zealand green-lipped mussel (Perna canaliculus) and is the most studied natural alternative known to provide relief from inflammatory pain and asthmatic symptoms. Lyprinol PCSO-524® is the only green-lipped mussel extract that is prepared by supercritical fluid (CO2) extraction. This retains the essential PUFAs, leaves no chemical solvent residues and removes the protein that causes shellfish allergies. Clinical research has shown that Lyprinol PCSO-524 is the only marine or plant life that has a unique combination of 91 PUFAs (polyunsaturated fatty acids), including sterol esters, triglycerides, free fatty acids, sterols and polar lipids2. Fighting inflammation is the omega 3 PUFA’s (active ingredient of Lyprinol PCSO-524®) main function. This is crucial, as so many life-threatening and debilitating diseases are caused by inflammation. These include asthma, rheumatoid arthritis and heart diseases, such as heart attacks, atherosclerosis, strokes (studies have shown a reduction of up to 27%) and arrhythmia (irregular heart rhythm). In fact, The South African Heart Foundation now recommends the use of omega 3 to prevent heart disease and improve the immune system. What makes Lyprinol PCSO-524® particularly effective in fighting inflammation is the presence of the omega 3 PUFAs, eicosatetranoic acid (ETA), octadecatetranoic acid (OTA) and the rarely-found furan acid, which is also potent at scavenging free radicals. A collaborative study was conducted by researchers from the Professor Dr. Baum Institute in Cologne, Germany and the Australian National University in Canberra, Australia to ascertain the effectiveness of Lyprinol PCSO-524® on DOMS (delayed onset muscle soreness) after a 30 km training run. The subjects were all males between the ages of 30 and 60. The symptoms of DOMS include pain, restricted movement, less strength, and some swelling. They found that the group who had received Lyprinol PCSO-524® experienced less DOMS and lower post-run CK (Creatine Kinase - a contributor to fibre deterioration) concentrations. The lower incidence of DOMS was more notable in less experienced runners. They concluded that Lyprinol PCSO-524® would be an excellent supplement for older runners to help them endure less DOMS and to recover faster from muscle-induced stress. Lyprinol PCSO-524® also helps asthmatics as it inhibits the formation of bronchoconstricting leukotrienes. These leukotrienes are partly responsible for the production of excessive mucous and the constriction of the bronchial airways. A study conducted at the Pavlov Medical University Hospital in St Petersburg, found the following results after only 56 days. There was a 50% reduction in rescue medicine, a 65% reduction in exhaled H2O2 (hydrogen peroxide), a significant reduction in chest tightness and the incidence of night-time attacks. They concluded that Lyprinol PCSO-524® was an effective means of treating inflammation in the airways. Research has also shown that Lyprinol PCSO-524®’s anti-inflammatory properties are effective in treating exercise-induced bronchoconstriction (EIB). Recent studies are showing that omega 3 can help with depression. These studies show that there is a direct correlation between low omega 3 levels and depression, hostility and impulsive behaviour. Additionally, they found that high levels of EPA and DHA increased the volume of brain matter that controls depression and moods. Various other clinical trials that ranged from children to adults, showed omega 3’s significance in managing different forms of depression that included bipolar, unipolar, menopausal and major depression. New evidence is emerging that omega 3s can play a role in preventing certain types of cancer in those who are at risk, as well as aiding those who are suffering from either cancer or the side effects of treatment. These include breast and prostate cancer. One very recent study conducted at Washington State University was able to show that the fatty acids bind with a receptor called FFA4 (free fatty acid receptor 4) and in doing so, suppresses the growth of prostate cancer cells. 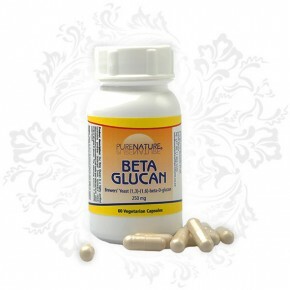 Sufficient levels of omega 3 prevent exhaustion, digestive complications, lack of concentration, aching joints, skin problems and brittle hair and nails. The PUFA, Docosahexaenoic acid (DHA), also plays an essential role in the development of mental abilities in children and reducing age induced memory loss. DHA also helps in building bone density and is therefore, helpful for treating and preventing osteoporosis.